The f8 image on the left is a much more "accurate" image of the dandelion flower, but I find the f2.8 image on the right much more intriguing. 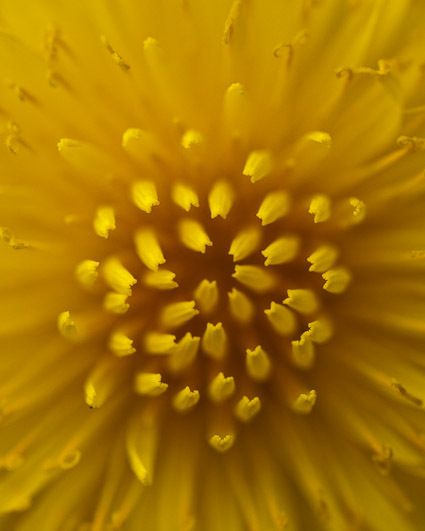 What could be more common than a dandelion? But the 2.8 narrow focus has added a touch of mystery to this most common and widely scorned flower. 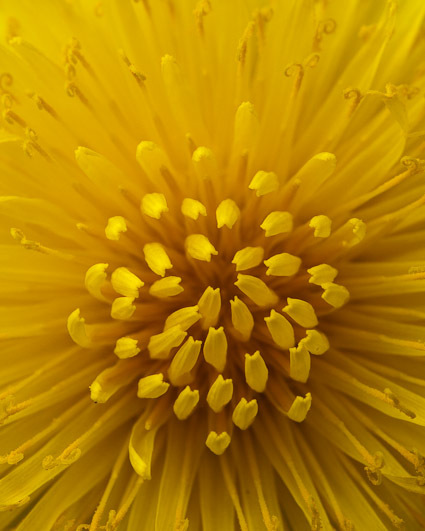 Personally, I find the intense yellowness of a dandelion flower to be intoxicating and I love that poofy seed stage just as much.